Researchers at the State University of New York in Binghamton, US have developed a self-powered paper patch that could enable diabetics to monitor their glucose levels during exercise. 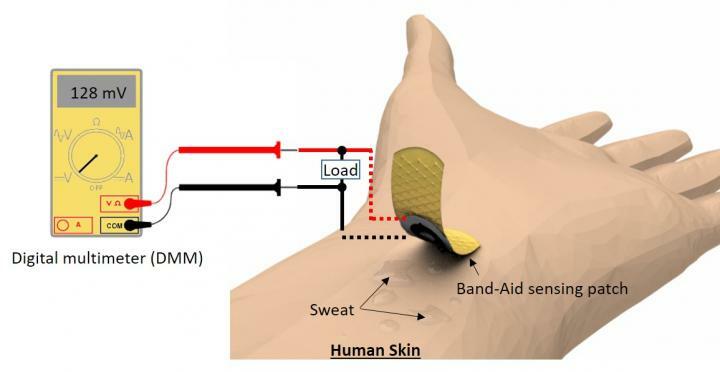 The disposable patch, which is able to measure glucose levels in a wearer’s sweat, offers potential advantages over existing invasive blood testing methods which are impractical to carry out during exercise. The innovative biosensor integrates a vertically stacked, paper-based glucose/oxygen enzymatic fuel cell into a standard adhesive plaster. Sweat-based glucose sensing is attractive for managing exercise-induced hypoglycaemia because the measurement is performed during or immediately after exercise when there is enough sweat to obtain an adequate sample, he added. This potentially alleviates the shortcomings of conventional non-invasive sweat sensors, which can be hampered by the difficulty of collecting enough sweat for analysis, sample evaporation and the relatively long time required for sample collection.